“This is one of those rare books that can hold its own against television. The illustrations are beautiful. Gives any young reader a vicarious experience. The best juvenile book available on scuba diving.” Appraisal, Science Books for Young People. 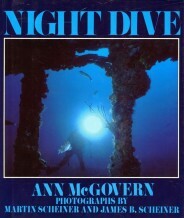 A 12-year-old girl is scared to death, about to do her first night dive. But what she finds beneath the sea and her adventures give her new memories she can never forget. 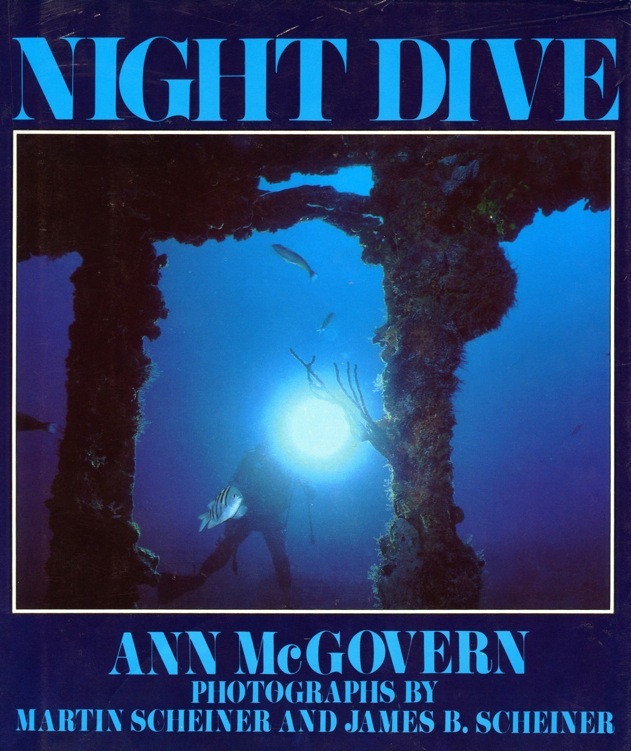 Her underwater light fails, and she nearly bumps into a 300-pound fish inside a shipwreck. Join her in meeting barracuda in their hunt for food and fascinating fish in their night colors and much more! 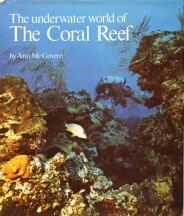 “In areas where ocean waters are warm and clear, vibrant-colored, magical looking coral reefs slowly and silently grow. 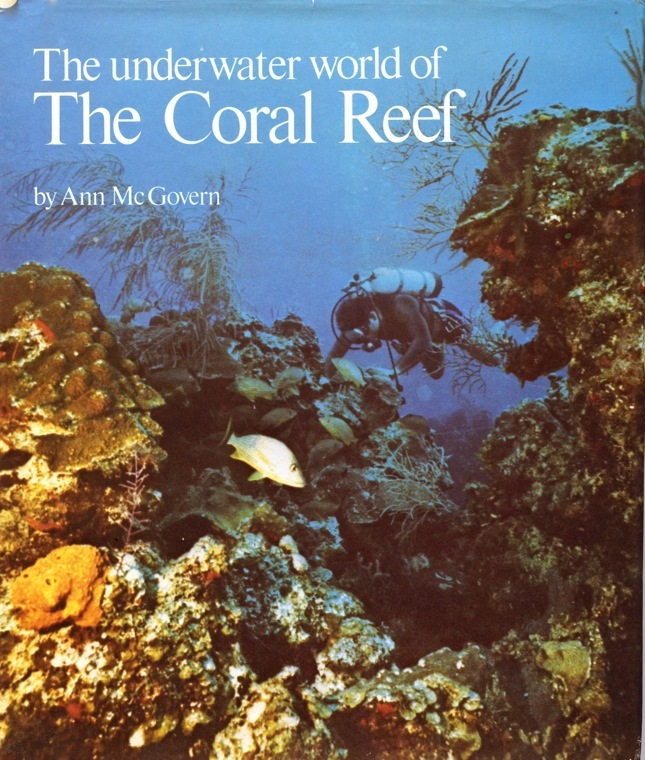 With lucid text, the author describes the exotic undersea world. 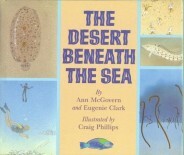 Full-color photographs introduce young readers to intriguing species.” Booklist. 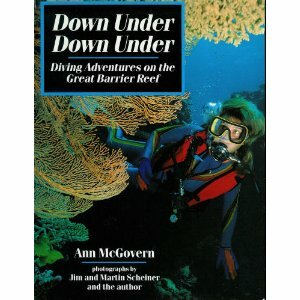 “I read your book three times and now I want to learn to scuba dive. How old do I have to be to dive?” Billy Temple, Topika, KS. 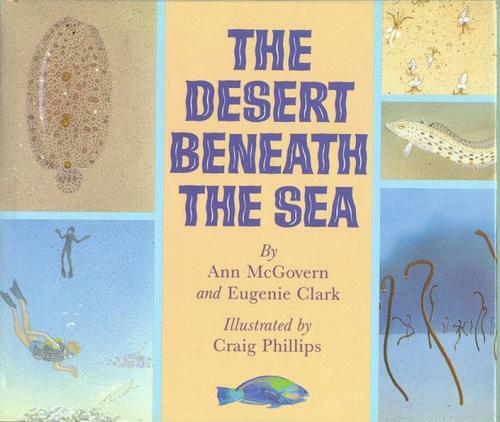 McGovern teams up with Dr. Eugenie Clark (The Shark Lady) to scuba dive in the Caribbean and tells about the strange creatures that inhabit the shallow, sandy-bottomed “desert.” Meet the jumping sand grains, the garden eels, and many more. This is also the story of how scientists work underwater and it tells about the friendship between a writer and a scientist. Illustrations by Craig Phillips. Ages 6-12.